The Overland Stage Stampede is a full blown rodeo held annually the second weekend of June in Green River, Wyoming. In its 32nd year the rodeo is sanctioned by the ImPRA (Intermountain Professional Rodeo Association), the WRA (Wyoming Rodeo Association), and the WSRRA (Western States Ranch Rodeo Association). Each year the event features contestants from across the Western United States. 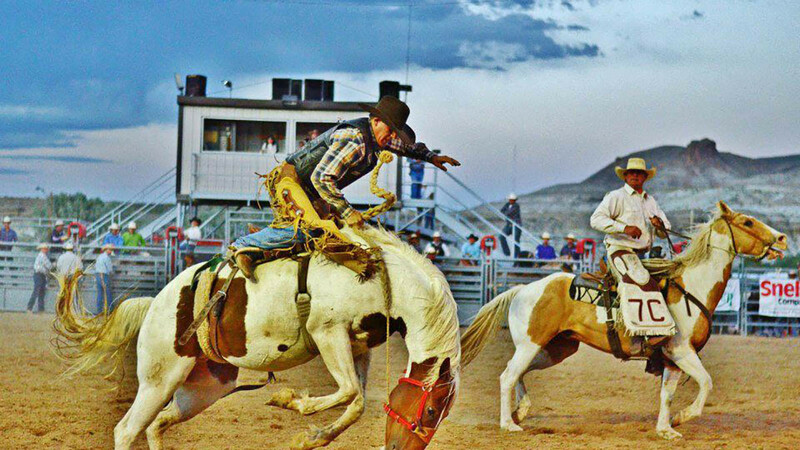 June 7 & 8, 2019 | Overland Stage Stampede Rodeo Arena | Green River, WYGate opens at 6PM and events start at 7PM!The Overland Stage Stampede Rodeo is produced in cooperation with the City of Green River. The committee prides itself in providing affordable, action packed, family friendly entertainment. We know that without the help of our great funding sources including Sweetwater Travel and Tourism that we could not continue to put on such a successful event. Advance tickets can be purchased at the Green River and Rock Springs Chamber of Commerce in late May.